TrafficBuffet.com is now seeking aggressive publisher managers that are looking to establish their position with us. The right candidate will have some years experience and an existing client base. We offer an aggressive commission structure with biweekly pay with no earnings cap. Salary can be considered for the right individuals. Our custom traffic filters block Proxy's or Cloud Browsers from completing your offer which means less reversals and more profit. Do you need great Incent and Non Incent Offers for your network. Let's work together. We have access to thousands of US, UK, CA,AU and International offers and they are avail for you. Are you looking for traffic for your offers? We have top tier traffic for your incent offers. If you have great offers at high rates then lets talk. skype me at jarden007 and let's see how we can work together. 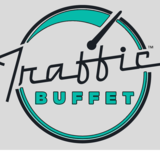 Did you know you can go to TrafficBuffet.com and get real Facebook Shares from Real people in the GEO you choose? That's right you can build your brand through social media for less then traditional ads. Add me on skype: jarden007 or visit our site today to get started.